Happy Friday . . . it's time for another one of Beate's weekend sketches! I'm so glad she's "making" me stamp because I desperately need to catch up on my birthday card sending *wink*! I immediately knew I would love this sketch when I saw it was square, so mine is a 5.50" square card with a chocolate chip base. I finally caved and got Pick A Petal after seeing so many wonderful samples using it. I chose the outline petal stamp and stamped 5 petals with chocolate chip craft ink on the cameo coral print from this fabulous new Linen Prints designer paper from Stampin' Up. After clear embossing it, I cut it out and adhered it over two other prints from this paper pack. A 1" circle punch of chocolate cardstock and a 3/4" circle punch of some more coordinating paper, all cut in half, make the center of this flower. Then I decided to add some machine stitching with chocolate thread (big mistake . . . don't ask . . . an hour later I was done, LOL! ), distressed the edges of the paper a little, added Vintage brass brads and the Designer Label punched birthday sentiment from the hostess set, Party Punch (it's mounted on dimensionals). 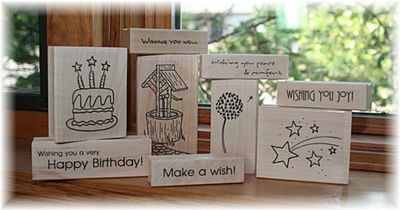 All supplies by Stampin' Up! Be sure to check out Beate, Charmaine, Jenn & Lori's cards (or projects! ), too . . . I always love seeing how different everyone's items turn out, using the same sketch! Join in the fun and try this great sketch over the long weekend, so you can catch up on your card sending, too. Have a wonderful weekend! 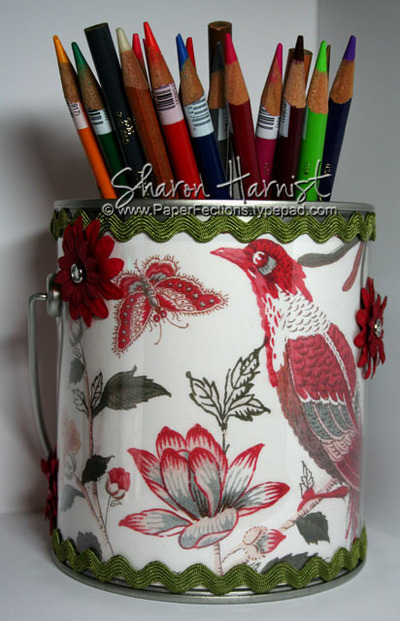 Yesterday, I mentioned that great special Kim will start running Sept 1 over at My Favorite Things which includes her Favorite 48 Prismacolor pencils, one of these wonderful clear pails/paint can, and a bunch of bonus items including the latest stamp set release, so check out that link above for all the details. These pails are the easiest evah to alter! You can just adhere an image to the outside of the can or because they are clear, you can just slip paper on the inside and you're almost done! 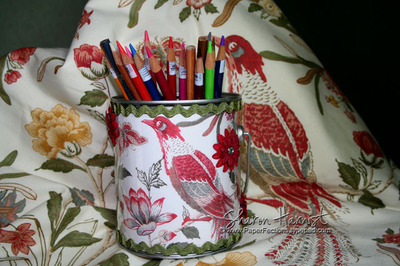 That's what I did with this can but with a special twist on the paper . . .
You won't find this paper in any scrapbook store because I made it myself! Since I just moved into a new house (and new craft room!) and am decorating it, I found some great fabric at Pottery Barn that I'm using in my room. The only problem is that it only comes in a very large print and only a pillow, duvet cover and shams. Since I loved the fabric so much and wanted to use it in more places throughout my room, I had the bright idea to color photocopy it! This also allowed me to reduce the size of the print so it would be better suited to smaller items like this can . . . how cool is that?!! I was bouncin' in my chair when I thought up that bright idea! To finish the can, I added olive Offray rick-rack to the outside of the can, along with dark red Prima flowers and crystal brads (all are adhered with glue dots -- click on the photo for a larger view). These picked up the colors in the fabric which are ruby red, artichoke, sage green, mustard & saffron . . . all my favorites (and it all goes so well with my pretty new green walls)! So now I have a pretty container to store my Prismacolor pencils in, as should you . . . so be sure to be in line on Sept 1 at My Favorite Things so you can take advantage of this wonderful special Kim will be running! And yes, for those of you who have been asking, I will be posting photos of my new craft room, along with more altered items using my printed paper, as soon as I get the place in better photo condition (read: I still have a lot of junk to find storage for and a lot of stamps to list for sale!). Guy cards are always hardest for me, mainly because I just don't make them often. But since my brother's birthday was this week, I thought one of the latest sets from My Favorite Things would be just perfect for his card! This one is Let's Hear it for the Boys. This set is perfect for almost any guy in your life . . . images in this set include a TV remote control, golf club & ball/tee, slippers, newspaper, snacks & beverage of choice or this baseball cap and fish plaque! 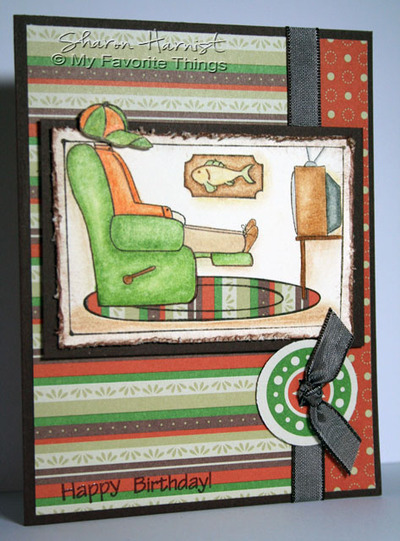 It has a great range of sentiments, too, for Grandparent's Day, Father's Day, Birthday, or even game night. I had fun with this image by doing paper piecing on the rug -- I just took the horizontal striped background paper (by Stampin' Up!) and turned it vertically. The colors in this paper reminds me SO much of our lake house where my brother spends a lot of his time fishing (hence the fish plaque was perfect for him!). We acquired the house in the 70's and the decor is still living in that decade -- burnt orange and kelly green! I also had fun coloring this image using my neglected Prismacolor pencils & Gamsol. If you don't have any of these pencils yet or have been wanting to add to your collection, check out this great special Kim over at My Favorite Things is running beginning Sept 1: You can get a set of her "Favorite 48" Prismacolor pencils along with a bunch of bonus items, including a great alterable paint can and the newest mini stamp set that will be available Sept 1, Shower Time. Check out all the details here on Kim's blog. Isn't it darling?!! I'll have a sample using this set later this week/weekend, so check back for that! Woo-hoo, it's Friday and I finally stamped something in my new office since the move! Took me several hours to find things and mount new stamps that I still hadn't gotten to play with yet . . . but I finally finished! This great layout comes from my friend, Beate's, weekend sketch challenge . 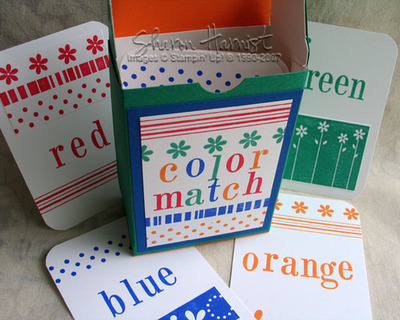 . . check it out each Friday and have some weekend stamping fun! I knew I wanted to use this fabulous new Stampin' Up! designer paper, Fall Flowers -- it's my favorite from this year's new catalog, very Chatterbox'ish, IMO. It also just happened to fit in with Emily's weekly color challenge over at Splitcoaststampers, to use the new In Colors Guava & Soft Sky -- so pretty together! Although it looks pretty dark on my computer screen, the 6.25" x 4.50" card base is Guava. This is Stampin' Up's large card size. 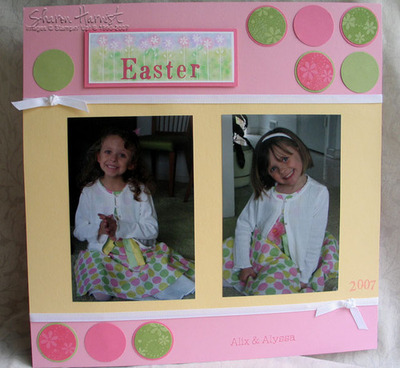 The focal image was stamped on shimmer white cardstock, using the new set, Priceless. First, I masked the edges of my piece of cardstock and then sponged the interior with Soft Sky ink. Then I stamped the images within the mask. After removing the mask, I stamped the row of dots from All In A Row (a cool border trick I picked up from Beate!) with Rust ink within the white edge space. The butterfly was also stamped on shimmer white, cut out and adhered with a dimensional to the focal image. The swirls are highlighted with clear Stardust Gelly Roll pen, the image matted with Rust cardstock and mounted on dimensionals to the card. Sorry my camera didn't catch all the shimmer & sparkle this card has, but I'm still trying to find a good photography spot in the new house! For the circle accents in the upper left and lower right of Beate's sketch, I used SU's new Scalloped Circle punch and cut one scalloped circle in half. 1/2" flower centers were punched from coordinating paper from the Fall Flowers collection. I decided I liked my birthday sentiment (from All Holidays) better on the focal image instead of the oval placement on the sketch, so I replaced the oval element with the ribbon and crystal brad. Be sure to check out Beate, Jenn, Lori & Charmaine's samples, too -- they're all fantastic and so varied, with this one sketch! I'm very happy to be back stamping and hope to have lots of new things to show you next week, as both of my girls will be in school full-time! Do you need a new TV? Check this out . . . 5 Minutes For Mom is giving away a 37″ Flat-Panel LCD HDTV! The giveaway is sponsored by Best Buy and ends this Friday, so hurry on over to enter! Free SU Stamp Set Giveaway! Would you like a chance to win a free Stampin' Up stamp set of your choice and a roll of taffeta ribbon? 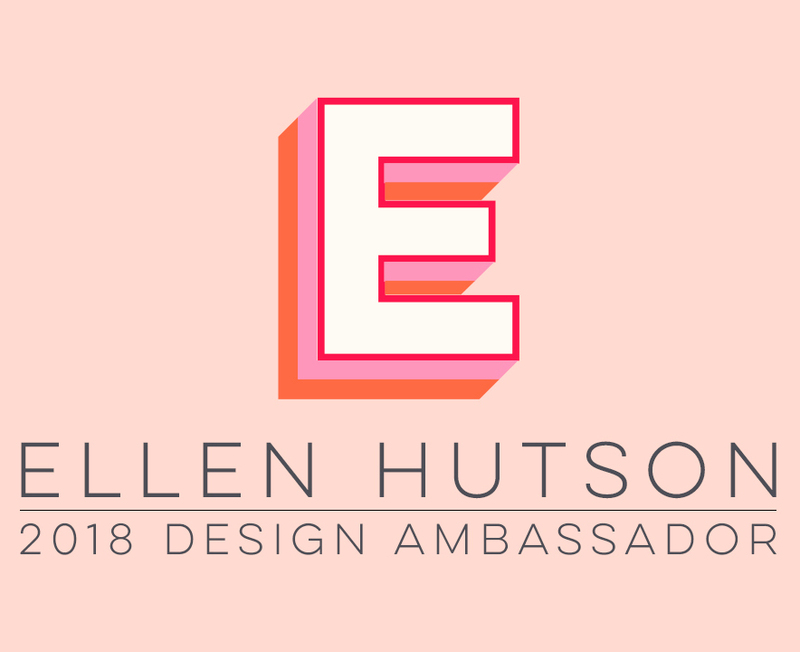 My friend, Sue, is having a contest on her blog, so check it out! There’s an added bonus to this contest, too, in that it’s designed to lift a soldier’s morale. Click here for details. The thing I dislike most about moving is the disarray. I'm an "everything has its own place" kinda gal and having everything turned topsy-turvy for a while just really unbalances my whole world! 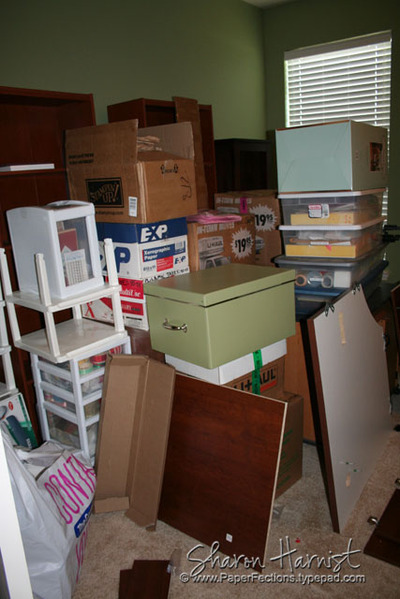 So here's a first view of my new crafting space -- with boxes & furniture piled everywhere! It's my unassembled desk! Sweet, dear hubby of mine found this great deal on a desk for me and I loved it. Only catch -- it comes unassembled! So after painstakingly painting the room for me (that story will follow! 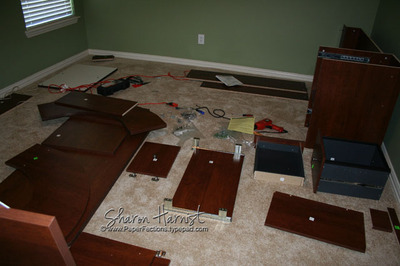 ), he starts assembling the desk. He gets to page 11 of the 44-page instruction manual and what does he find? A piece that had been drilled incorrectly -- ugh! So the instruction manual has a phone number listed in a HUGE font that you can't miss, to call for missing or incorrect parts. "No problem" they say, "we can have that piece out to you in about 7 days" -- ugh! So hopefully that will arrive by week's end and we'll be back in business! He couldn't go any further with the assembly because the one piece attaches what he has started (the back credenza part) to the return, which holds up the desk (this all makes a U shape). Meanwhile, the paint story . . . I decided on a paint color and DH talked me into a lighter shade of what I had selected. Okay, I say but just please just paint one wall to see if I like it first. I may want to only have the one wall painted but reserve the right to change my mind and have the whole room painted, so be sure you get enough paint to do that. He thinks a gallon will do it all and we make the purchase and he paints one wall. I love it and ask him to finish the whole room. He does that the next night. When we looked at the room the next day in the daylight, we see that it's a bit streaky because DH was running out of paint and started painting a lighter coat towards the end. No problem, just go back and get more paint, right? Next night, sweet hubby does that and paints over the last 3 walls again and notices a few spots on the first wall that he touches up, too. Next day, in the daylight guess what we find? A totally different color of 3 walls than the first, which might have been okay except for that little touch-up he did on the first wall, right smack-dab in the middle of it, LOL! SO not funny at the time but now I can laugh about it (DH still may not be laughing though)! So we go back to Home Depot (this was Behr paint that is tinted and mixed at the time of your purchase) and get TWO gallons of the same paint, mix them into a huge bucket and darling hubby repaints the entire room for the 3rd time! So, it's a lovely shade of a dark celery mossy-green, don't you think?!! And isn't my hubby the sweetest in the world for putting up with me? YES! I took a little time a few weeks ago to get a birthday card to my husband's Aunt in the mail. Since I had just received my new stamps for My Favorite Things' design team work, I was anxious to try them out! This darling birthday cake is from the You Take The Cake set -- you can get it at another of my favorite things: Eclectic Paperie! I had the priveledge to finally meet the proprietors of eP in person this past Spring when I visited California for a stamp day. Joy and Daisy have grown their store very quickly this year and carry all the latest and greatest products available on the market, so check them out . . . I hear they'll even be carrying Copic markers soon! They are always very quick to ship and the sweetest girls you could ever meet! 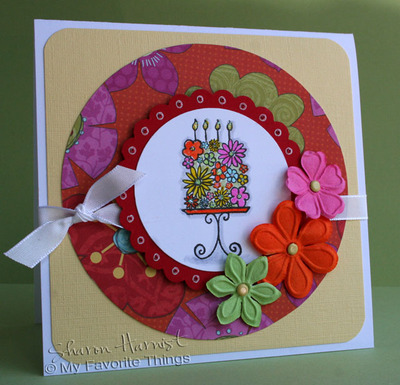 For this card I started off using CPS's card sketch #22 and grabbed this floral Scenic Route paper scrap from my desk that I had cut for another project but never used -- I thought it would compliment this floral birthday cake pretty well. 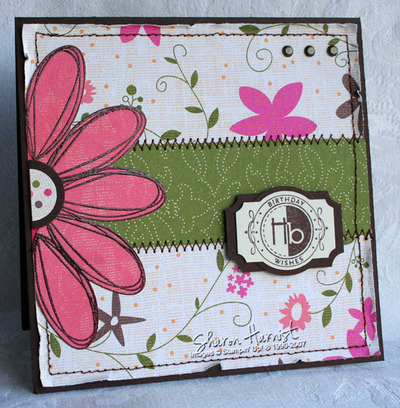 The circle of floral paper is mounted to Stampin' Up's new textured cardstock -- I think this is the best purchase I've made from the new catalog so far this year, this stuff is so yummy! 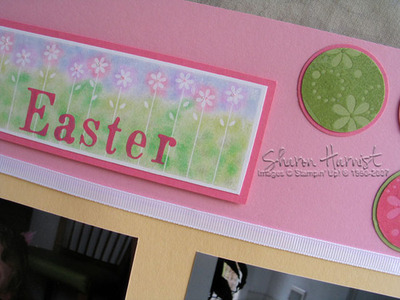 The card base is PaperTrey Ink's Stamper's Select White. I colored the cake with dye markers to match the paper, then added Stickles to it (of course)! I matted the cake with a Giga circle scallop of red cardstock, to pick up that color in the floral paper, and pierced holes in each of the scallops from the underside of the cardstock. Then I drew around each of the holes with white gel pen. The focal image is mounted with dimensionals to the round floral piece. A piece of Stampin' Up's new white taffeta ribbon is tied under the scalloped piece and Prima Sprite flowers (from Eclectic Paperie and TexasJodyLynn's Prima share) with brads finish off this 5" square card. Paper: PaperTrey Stamper’s Select White, Scenic Route Laurel Crosstide Lane. Stampin’ Up! Textured Banana, Whisper White, Real Red. Template, EK Success Corner Rounder, Marvy Giga Scalloped Circle Punch, Ranger Stardust Stickles, Prima Sprites. Stampin’ Up White Taffeta Ribbon, Saffron Brads, Dimensionals. 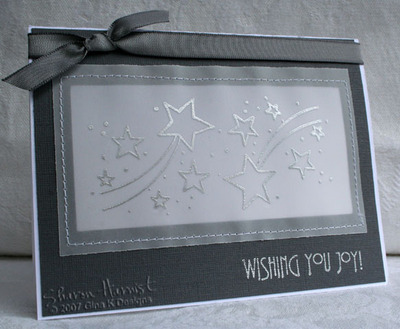 I loved trying out this vellum window idea I had for this card but sorry I didn't get a better photo of it, so you could tell it's a window behind those stars! These cute shooting stars are another image from Gina K's Stamps for a Cause stamp set, Make a Wish. 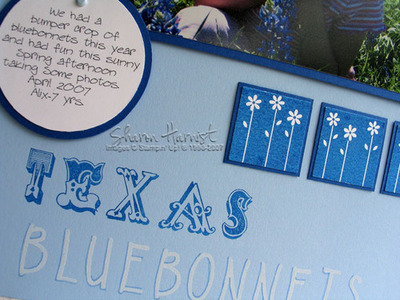 They were stamped with Encore silver metallic ink on vellum cardstock and clear embossed. I also loved the font for this sentiment -- it is stamped in Encore silver metallic ink on Stampin' Up's basic gray textured cardstock. The white card base is PaperTrey Ink's Stamper's Select. After stamping the stars and cutting out the vellum image, I cut a window in my card front, slightly smaller than the vellum. Then I machine stitched the vellum to the card front, over the window. A bit of SU's gray taffeta ribbon finishes off this card. I hope you love this darling stamp set as much as I did and will hop on over to Gina's blog to see some more samples the rest of the designers created and make your purchase. It's a wonderfully versatile set and Gina is donating $7 of your purchase directly to the Make a Wish Foundation. Since 1980, the Make-A-Wish Foundation® has enriched the lives of children with life-threatening medical conditions through its wish-granting work . . . I know you'll want to be a part of that! Purchase your set here. This card was inspired by my youngest daughter's homemade chocolate birthday cake and I was sure glad there was some still left over after I stamped -- it sure made for a yummy midnight snack! 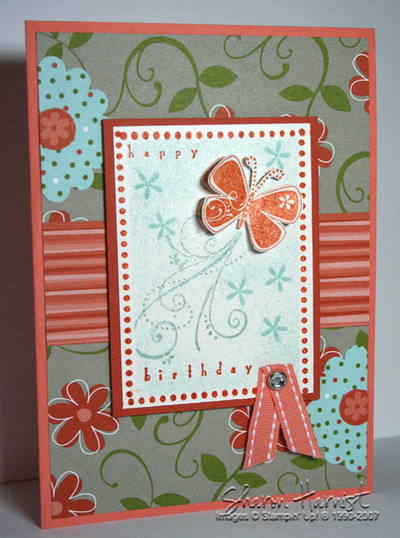 This is another of my sample cards made from Gina K's Stamps for a Cause 2007 set, Make a Wish. I stamped the cake in Stampin' Up's basic brown on watercolor paper, omitting the stars at the top of the candles. Instead, I gave the candles a little pink bling with some A Muse Creative Candy twinkle stickers in hot pink and watercolored the cake with Stampin' Up reinkers. The cake was punched with the Marvy Mega circle punch and framed with a Giga scallop punch of chocolate chip. The scallops were each pierced from the reverse side. It is mounted with dimensionals to the card. 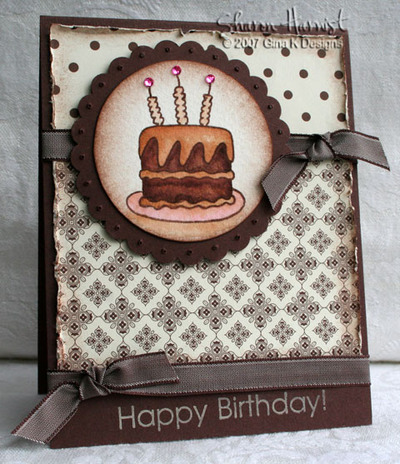 Card base is chocolate chip, paper is Au Chocolat and ribbon is brown taffeta, all by Stampin' Up! The sentiment was stamped in Tsukineko's VersaMagic Chalk Ink-Wheat. I was so honored Gina K asked me if to participate in her Stamps for a Cause fund raiser this year. $7 from every set sold will go to the Make a Wish foundation. The full set is pictured above -- it's available in deeply-etched red rubber wood-mounted or the same red rubber in unmounted with cling vinyl cushion to use with acrylic blocks. You can order your stamp set from StampingFreak.com and know that your purchase will help so many children realize their dreams. The special design team she put together for this release (which includes her multi-talented original design team, too) created some awesome samples -- you will see them appearing on Gina's blog over the next few days, as well as her special Stamps For A Cause site. I loved the dandelion image in this set the most and this was the first idea I tried with it. 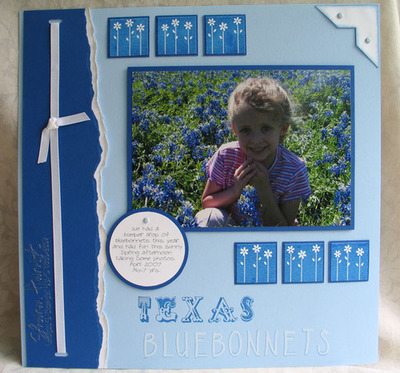 The flower is stamped in white craft ink on Stampin' Up's bashful blue cardstock and mounted to a black card base. The background was then dotted with a black marker and the corners were clipped with SU's ticket corner punch. The black scalloped strip was created with SU's new, smaller corner rounder punch (with the corner guard removed). Michael's black polka-dotted grosgrain ribbon was adhered over the scalloped strip. A dandelion was stamped again with white craft ink and punched out with 1-1/4" circle punch and the sentiment stamped over it in black. It was matted with a 1-3/8" circle punch of black cardstock and a black Vintage brad (SU) added. After mounting with dimensionals to the card, all the dandelions got a sprinkling of Stardust Stickles, for lots of glitter! I'm also happy to report the move to the new house went well and I'm finally back today with Internet service -- yay! I wish the same could be said for my craft room/office . . . it's been an adventure that will deserve it's own post soon, so stay tuned! I'm still not really here! Just checking in from a friend's house (thanks Sharon!) -- still no Internet at mine! I hope to get back to you sometime tomorrow with my Gina K Stamps for a Cause sample cards. In the meantime, be sure to watch Gina's blog (you'll find her link on my sidebar). Happiness - Altered Art 4 and . . . 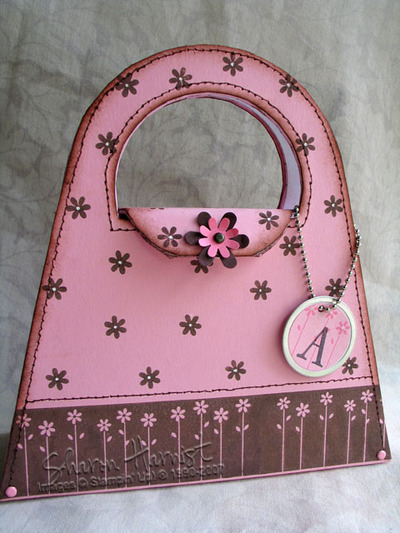 This cute purse started life as a candy box! I liked the unsual shape and how it opened. I got it at half-price the day after Valentine's! It's covered in cardstock that I stamped on. The lower brown flower strip was stamped in craft ink. All the edges were sponged with brown ink and faux stitching was done prior to adhering the cardstock to the box. The box opens & closes at the flower embellishment with a velcro dot. All Supplies by Stampin’ Up! The image for my last Happiness card was broken in the upload and I didn't realize it before sending the card off. I hope to get it re-stamped for you and will post it. I hope you have enjoyed my samples from these new sets . . . it was tons of fun to play with them and prepare the samples for Stampin' Up's annual convention display boards. If you check back in after midnight tomorrow, when it's officially the 8th of August, I'll be able to share the samples I prepared for Gina K's Stamps for a Cause set! Strips of black flowers are from the Happiness background. Friendship circle & flower is from Think Happy Thoughts and is popped up. Journaling from the Font CD. 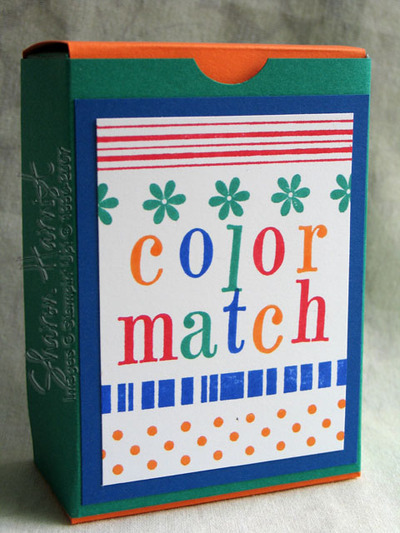 Each card color is stamped in pairs, with different strips from this background. To play this classic memory game, lay all the cards face down then turn over two at a time, trying to match up the colors. If you don't match, turn the cards back over and play goes to the next person. When a match is made, the player keeps his match. The player with the most matches, wins!